Peggy Snow. “Turner School on Nolensville Road”. 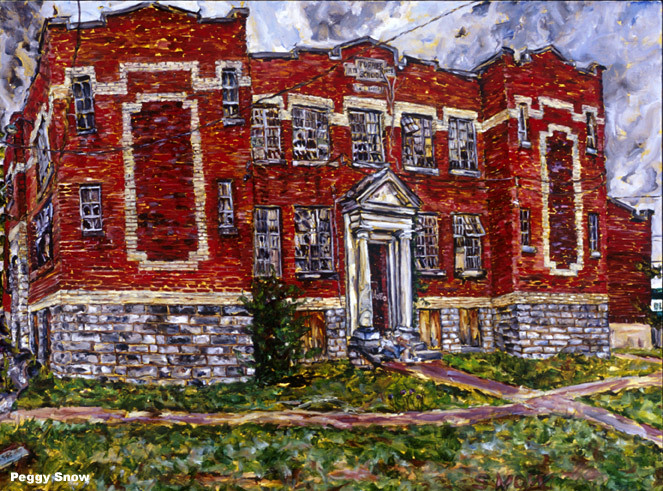 2001 oil on canvas 30"x40"
This inner-city school in Nashville was almost demolished, when a church congregation managed to step in and renovate it, so now it is a house of God.